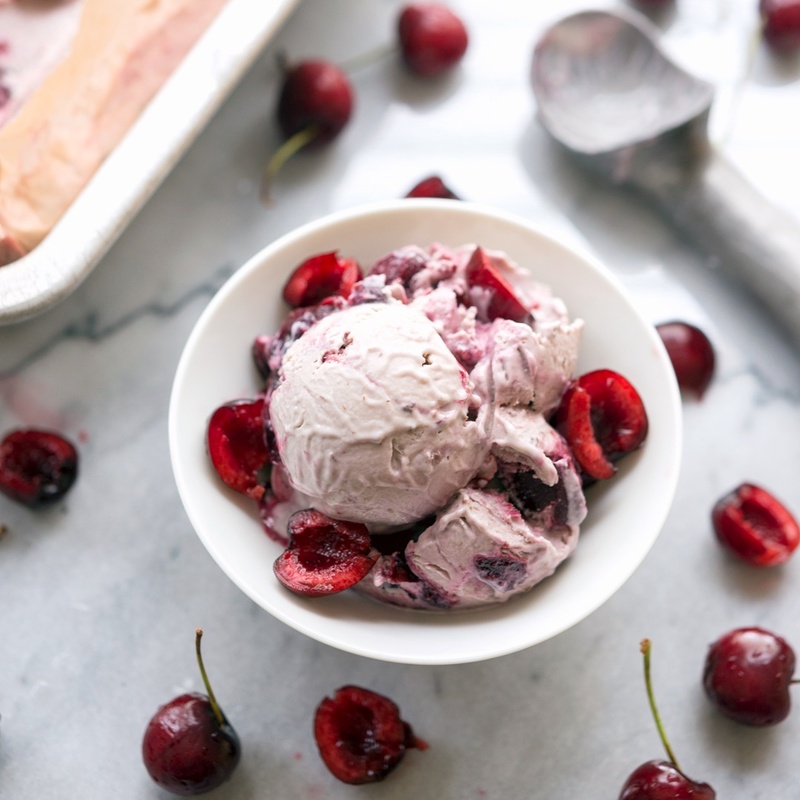 Today I’ve got a fantastic recipe to share with you for dairy-free and egg-free amaretto cherry ice cream. It’s just a taste of the new book Vegan Bowl Attack! : More than 100 One-Dish Meals Packed with Plant-Based Power by Jackie Sobon of Vegan Yack Attack. Do you ever have one of those “I wish I’d done it first” moments? I absolutely love “bowl” food. In fact, I have bowls in all shapes and sizes in our cupboards and we use them for the majority of our meals. 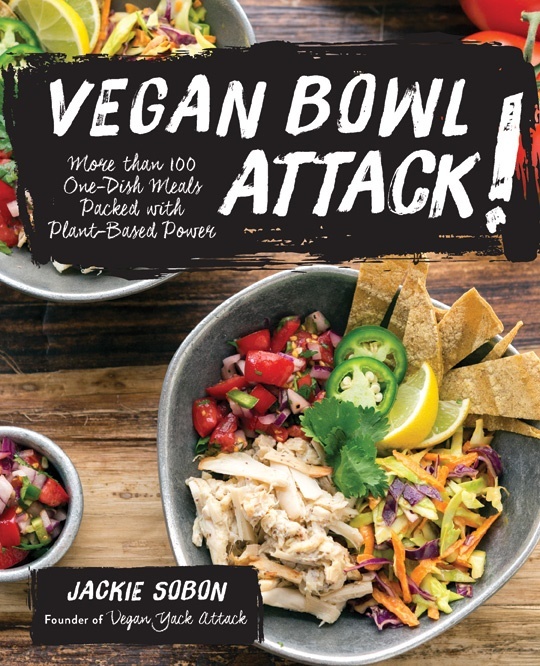 I’d thought quite a bit about doing a book on bowl food, but Jackie beat me to it with Vegan Bowl Attack. Nevertheless, I’m definitely not bitter. I’m actually inspired by all of the creativity she put into every page of this appealing collection. The introduction is very, very brief. Jackie knows we’re excited about the food and doesn’t mess around. In fact, she grabbed my attention just a few pages in with the very first recipe for Chai Waffle Stick Dippers. 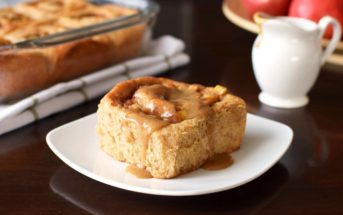 They’re indulgent, with hints of nutrition and an alluring maple butter dip. 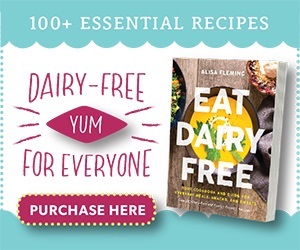 The recipe looks simple, and uses everyday ingredients that you would find in most dairy-free or dairy-low kitchens. It seems to set the tone for the food to come. Most of the recipes have a healthy slant, but Jackie doesn’t shy away from all-purpose flour or sugar when it suits the recipe best. She seems to take a plant-based, everything-in-moderation approach. I know many of you worry about “strange” ingredients in vegan cookbooks. 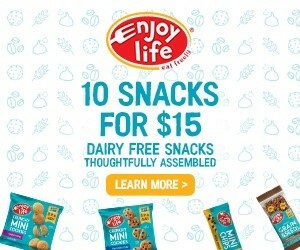 You may need to take a trip to the natural food store for some of the items, and Jackie does use some store-bought dairy alternatives (like cheeses and buttery spreads), but sparingly. Overall, I’d say they are everyday ingredients for most vegan consumers, with a little adventure in flavors and foods for those who are new to plant-based or just dip their toes in on occasion. As for special diets, she does use gluten, soy and nuts throughout. However, the cookbook includes many specifically gluten-free recipes and numerous that are naturally soy-free, nut-free or easy to adapt. In other words, there is something for everyone. And yes, there are many enticing but not overwhelming photographs throughout Vegan Bowl Attack. The hardback book is full color, and although not every recipe has a picture, most do. Please note that the Prep time does include churing, but it doesn't include soaking or freezing time. 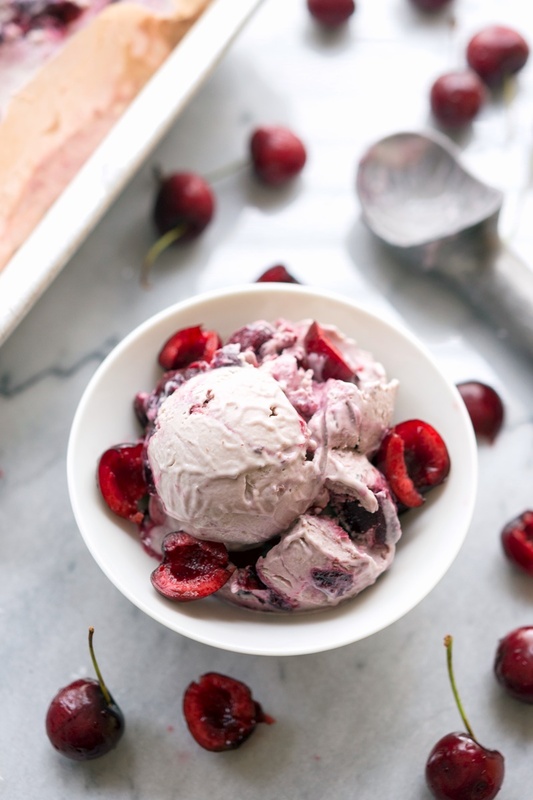 Homemade dairy-free ice cream is best made ahead! Place all of the boozy cherry sauce ingredients in a small pan over medium heat and bring to a simmer, uncovered. Adjust the heat to medium-low and simmer for 15 to 20 minutes, stirring occasionally. You want the cherries to be soft and breaking apart a bit. 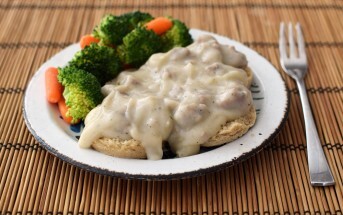 The sauce should coat a spoon once it has cooled slightly. Transfer the sauce to a small bowl and refrigerate. 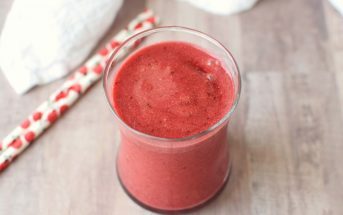 Place the soy milk and cashews in a high-speed blender and purée until completely smooth. Add the rest of the ice cream base ingredients to the mixture and purée until smooth; you will see specks of cherry skins, which is fine. Pour the ice cream base into an ice cream maker and churn for 25 minutes or until thick but not frozen solid. In the meantime, prepare a 9 x 5 x 3-inch (23 x 13 x 7.5 cm) loaf pan by lining it with parchment paper. 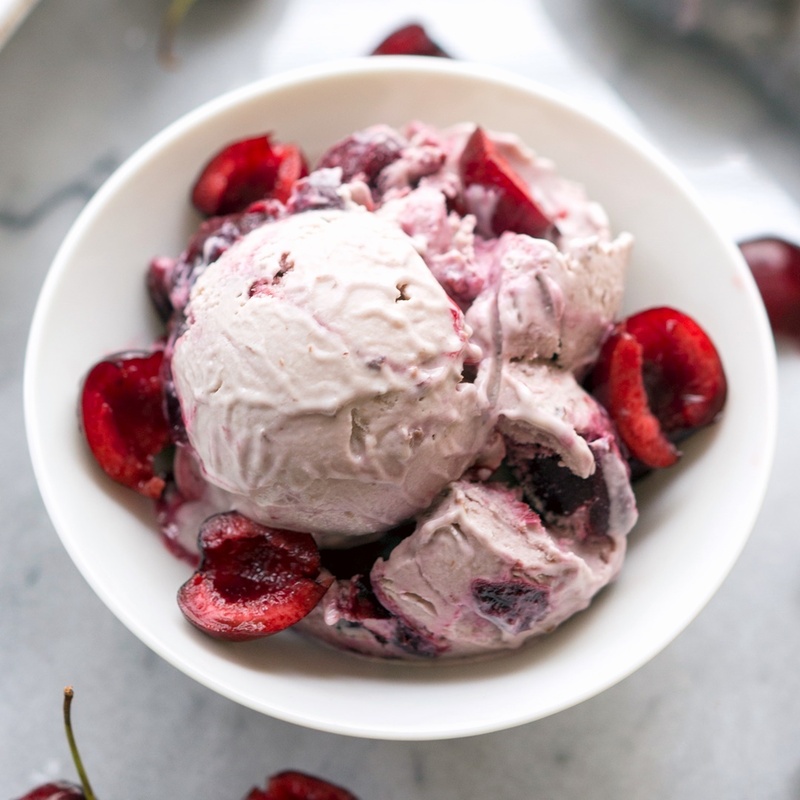 When the ice cream base is ready, take the cherry sauce out of the refrigerator. Begin filling the loaf pan, alternating layers of the base and the cherry sauce and making 4 layers of the base and 3 thinner layers of sauce. Drag a butter knife through the mixtures to create swirls. Place the ice cream in the freezer for 1 to 2 hours. When you are ready to serve, take the ice cream out and let soften for 5 to 10 minutes before scooping, if necessary. Garnish with fresh cherry pieces, if using, and serve in small bowls. This Recipe with Photo is reprinted with permissions from Vegan Bowl Attack! : More than 100 One-Dish Meals Packed with Plant-Based Power By Jackie Sobon, published by Fair Winds Press. Can you use almond milk in place of soy milk. Yes, any milk beverage! I just recommend cashew or coconut as they are a little richer. Almond milk is usually thinner. This sounds so deliciously refreshing right now!! With these super hot temperatures this summer frozen treats are a staple, this is a must try! Those cherries are gorgeous! 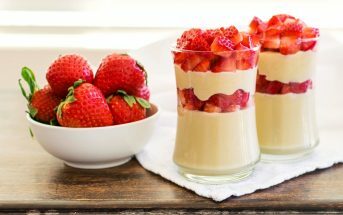 Love this sweet treat idea! I know, aren’t they pretty? !